$75. Vintage Chanel button pierced earrings. 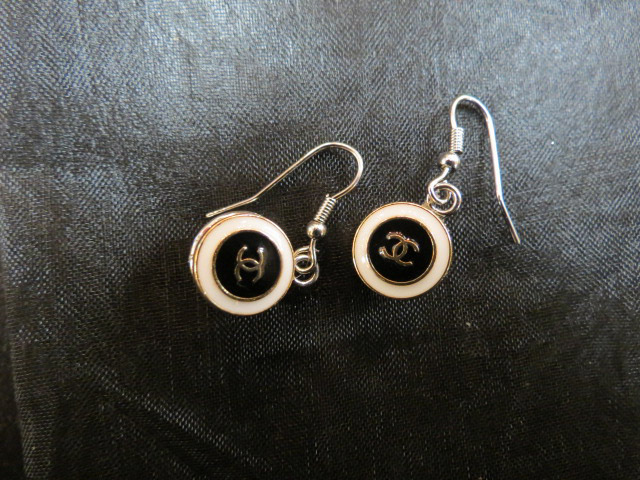 White enamel ring around a black enamel center and gold CCs in the center. Excellent condition. .5in wide.